Home » Fashion » Wear sandals in the winter? Now you can! Wear sandals in the winter? Now you can! That’s all the advice to follow to wear these shoes even during the coldest season. The temperatures are above or below zero, it does not matter. 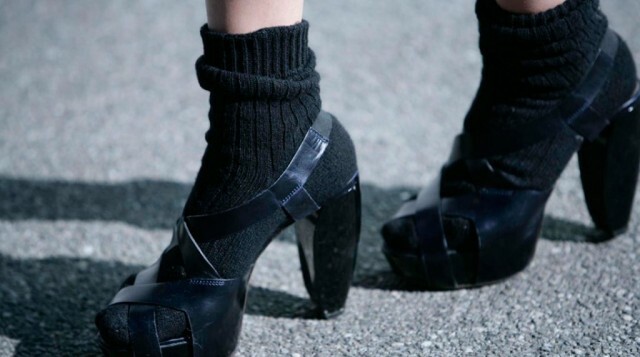 Now you can wear sandals even in the coldest season thanks to a single, great ally: the socks. It is a novelty unexpected, unusual and absurd to many, but by now if someone was in love with a beautiful pair of shoes that matches very well under that dress beautiful, no longer cold or fashion to stop a woman from the purchase of those sandals dream. New trends in fact give the green light for this combination, with one big trick: just that the sandals are worn by matching well the tights or socks. To wear the best sandals in the winter so you have to follow certain guidelines: it is essential to draw attention to the coordination between tones, between footwear and tights, or at least between the shoe and dress worn. If you want to wear sandals in retro style, as in the 70s, they will be well below the bell-bottoms instead for an evening coolest and least busy will also perfect under dresses shorter. Here is a series of beautiful sandals and stylish that will make all women who want to wear them higher and fascinating, so spend the winter nights without the melancholy of the summer. How not to fall in love with these shoes? If before it was a problem to wear them now not any more, thanks to these tips so all women can wear them to look more beautiful, charming and stylish, without being intimidated by the low temperatures that characterize this winter 2016.